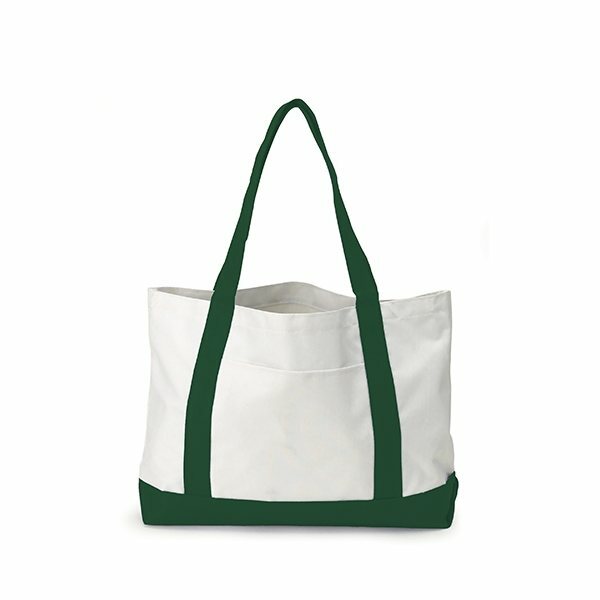 Two-tone 600D polyester forest/white tote bag with front pocket. They looked much better than we thought they would. the product was as advertised. Our logo came out great. We love it, service was great too. Thank you. Compact giveaway with high perceived value. Good job!! Product was of excellent quality and most met my expectations.